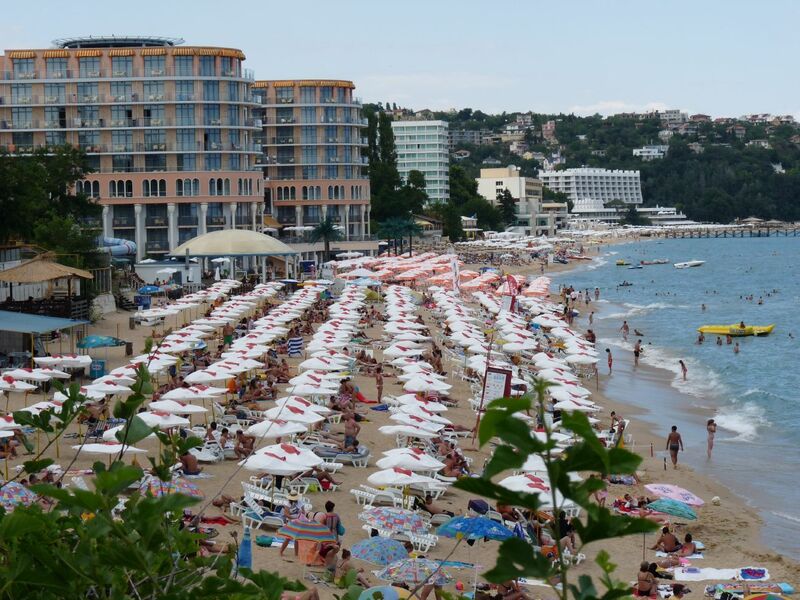 Saints Constantine and Elena Resort known in the recent past under the name Druzhba is Bulgaria’s oldest seaside resort. Its construction started in 1908. 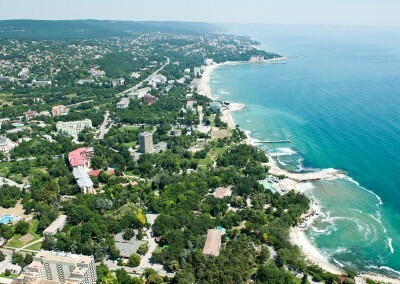 It is located 10 km northeast of downtown Varna, 6 km from the edge of the city and 8 km from Golden Sands Resort. It is situated within a landscaped park with coniferous and deciduous trees – cypress, fir, cedar and others. Besides recreation facilities, hotels, entertainment venues and sports facilities, within the area of the resort you can find the chapel Saints Constantine and Elena once part of to the monastery built in honour of Emperor Constantine the Great and his mother Empress Helena. The numerous mineral springs are used for outdoor hot water pools and spa complexes offering therapy and relaxation. 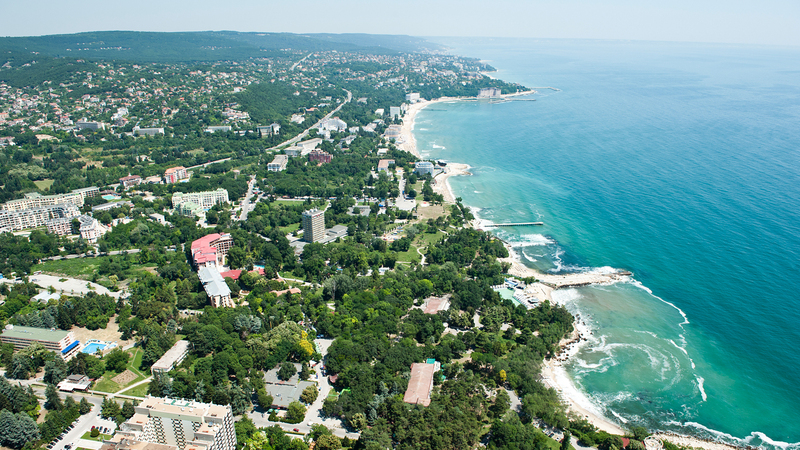 In Saints Constantine and Elena resort there are two outdoor swimming pools with hot mineral water (open year-round) of up to 55 degrees Celsius. One of them is open around the clock. The resort has many entertainment venues – Internet cafes, restaurants, bars, souvenir and clothes and fashion shops, a race track, opportunities for water sports (jet skiing, “bananas”, surfing, water skiing, etc). There is a magnificent beach covered with fine golden sand. The resort has a police station, a post office, a pharmacy, a gas station and a health center. 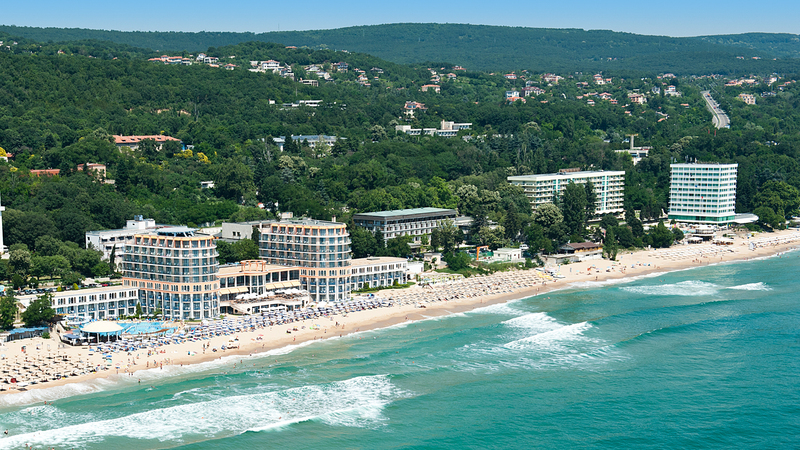 The Euxinograd Palace is located in the area of the resort.